A Green card holder or a permanent resident has been granted legal authority to stay in the United States on a permanent basis with the ability to work. There are several ways to obtain lawful permanent residence in the U.S. You may seek a green card through your employer, family members, refugee or asylum status, and other humanitarian programs. The Law Offices of Spar & Bernstein can help you in acquiring a green card in the U.S. With more than half a century experience in immigration laws, we are well-versed in application procedures. Whether you want to renew your existing green card or require a new green card, we can help you out. Filing an immigrant petition is the first step you will need to execute for getting a green card. Our licensed and experienced immigration attorneys can help you do that. Just share your valid information with our attorneys, and we help file the appropriate petition on your behalf. USCIS reviews your visa and immigration details, and accordingly approves the petition. 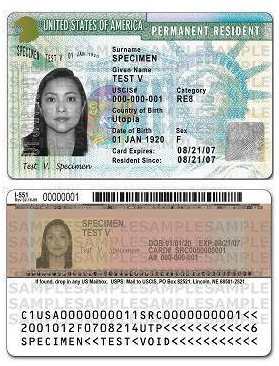 After the approval, you are eligible to file your green card application with USCIS. Go for the biometrics appointment and submit your signature, photos and fingerprints. Complete the interview procedure and await a decision on your application. After submitting the green card application, you will need to track its status. In case your appeal is pending with USCIS, our immigration attorneys will review the issues, and accordingly suggest ways to help. Feel free to contact us, if you wish to learn more about green card eligibility and the procedure behind it.